Happy Saints: Another Christmas Idea: Happy Saints Cards! Printable flash cards are great for memory games, decorations, gift tags, door gifts and other creative ideas for Christmas and the holiday season! 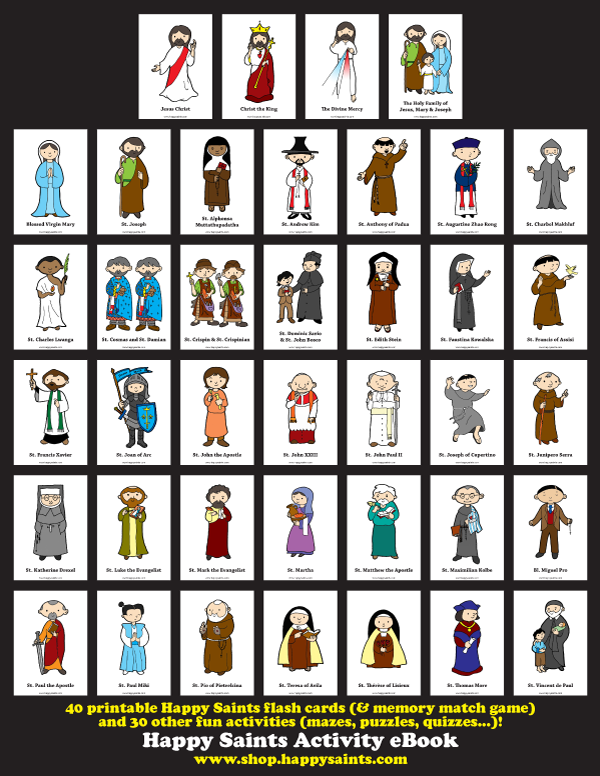 Download them in the HAPPY SAINTS ACTIVITY EBOOK!